It's a new world on both sides of the wealth management desk since the Tax Cuts and Jobs Act of 2017 ushered in the most significant tax reform in more than thirty years. Investors and financial professionals need a clear understanding on which popular wealth management strategies are now obsolete and the new tax-saving opportunities to pursue. Industry expert and educator John Vento engineered the solution by updating and expanding his authoritative system to reaching financial goals in Financial Independence (Getting to Point X), Second Edition. 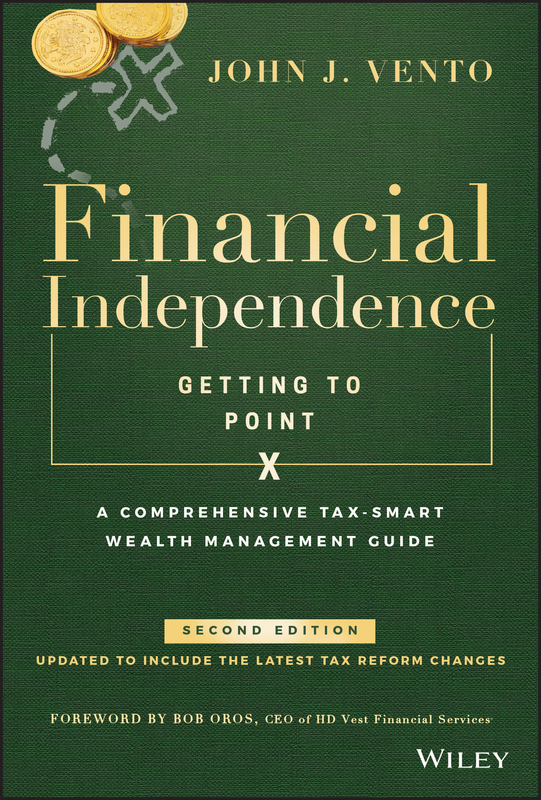 The groundbreaking first edition introduced the Ten Key Wealth Management Issues and how to bring them together in harmony at Point X to discover financial independence. Now, this completely revised Second Edition reveals the new treasure map to Point X, including the latest thinking, best practices, and loopholes. No matter where you are in your life—starting your first job, having a child, building your dream business, or entering retirement—you need realistic ways to save, budget, manage debt, minimize taxes, and live within your means. This brilliantly simple approach generates powerful returns by providing an easy-to-follow strategy of tangible actions you can take to achieve your personal goals in the new realities of the federal income tax code. The rules have changed, but your goals haven't, so use Financial Independence (Getting to Point X), Second Edition to discover the best ways to finance your dreams.